Thomas said: "I have been to Cook & Book. I know their Website is in French, but the English book section is good. I can, in addition, attest to the high quality of the food. Let me add then that the Cook & Book restaurant/shop combination is conveniently located for pedestrians right on a main line of the Métro in Brussels in the direction of Stokkel at the stop called Roodebeek, and offers a large parking lot nearby for car-drivers." Bookstores/cafes have become a rather fashionable concept in the recent past and we have to say that in many cases, this combination has worked well to bring the best out of the two. 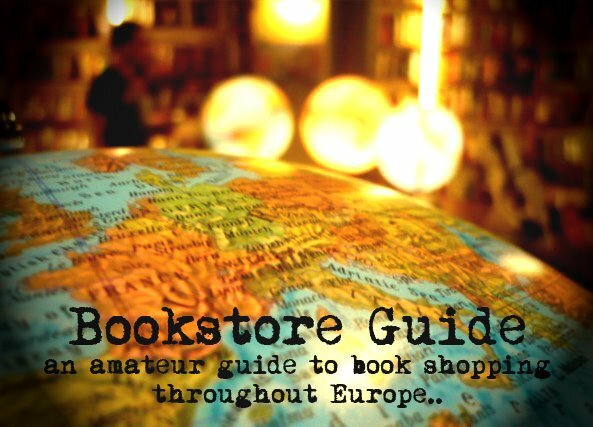 Some of these special bookstores also offer some home made bakery or other small snacks. 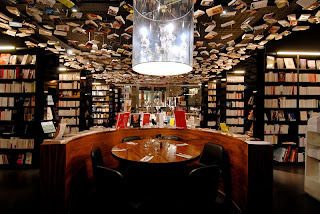 However, the combination of a bookstore with a regular restaurant is something we haven't heard of until now. So don't let yourself be fooled - Cook & Book is not a bookstore specialized in books on cooking, it's a very innovative and original concept which joins books with food. The best way to see if this can work is to see for yourselves - some call it a genial idea and a perfect match, others might complain that a bookstore shouldn't smell like a pizza shop. What can't be argued is the bold decision of the owners to give it a try. Cook & Book is located just opposite the main building of the Wolubilis complex, one of rather new cultural centers of the city. It is divided into two blocs (two separate buildings) and nine rooms, each with a different selection of books, different decoration and of course, the possibility to dine there. The specific sections/rooms include fine arts, music, general fiction, children's literature, cook books, travel, graphic novels, lifestyle and each of them holds a certain amount of English books. Whats more, there is a whole separate English section (decorated as an oldschool British library/gentlemen's club) as well, which is almost a must for most bookstores in a city like Brussels. 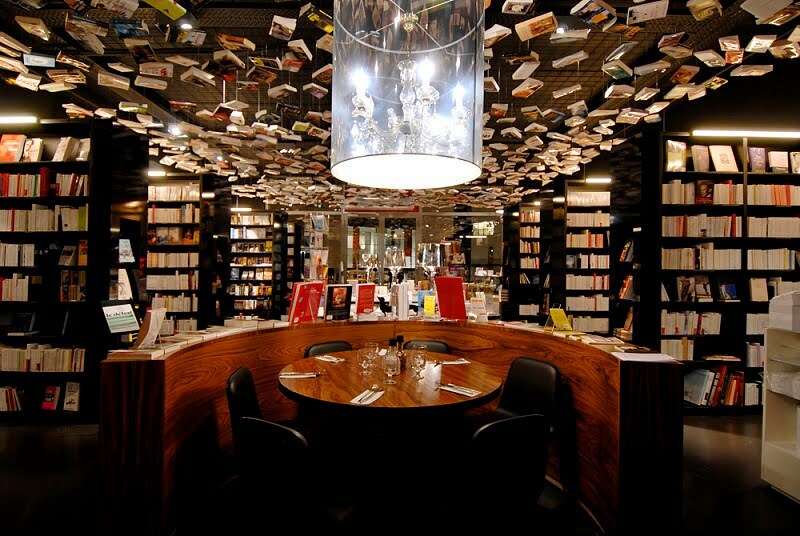 The interior design of the bookstore deserves a special mention as it is nothing short of unique. The interior architects had a huge space to work with and they created nine autonomous spaces, each with its own character and atmosphere. There's even a terrace where you can read or eat or both, as well as a small playground for the children. We are pretty sure that whether you visit Cook & Book for the purpose of buying books or for tasting their cuisine, in both cases, it will be an extraordinary experience.